Interpersonal neurobiology is about how our minds affect one another when we connect with each other. At its core, interpersonal neurobiology believes that we are who we are because of our relationships and that all relationships change the brain, especially the most intimate ones. The brain never stops developing, and intimate and healthy relationships can continue to influence us throughout life; they are in fact essential in our development because they give us new experiences which strengthen new neural connections, and shape the structure of our brain. To know that we can actively influence our brain at any time in our lives and thereby change our lives brings about hope to all of us. Watch Daniel Siegel explain how we can rewrite the story of our lives by redesigning the neural pathways in our brains. ​This photo says it all. Mercedes being "mothered". If we have missed out on maternal care in our childhood it can define how we see ourselves for the rest of our lives. When we are children, the parents—especially the mother—become mirrors for us to see ourselves. ​​​​​We understand our worth through what is reflected back in the eyes of our parents or caretaker. ​​​As adults we can give our inner child the nurture we missed out on. 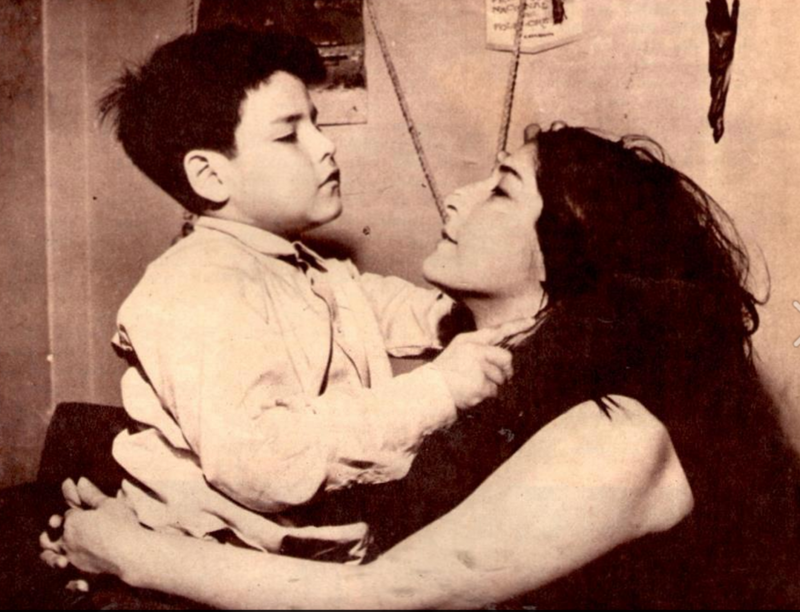 Mercedes Sosa became a mother figure to me. I would often find an expression on Mercedes’ face that I needed for a specific moment. Then I would freeze the computer screen and talk to her. With Mercedes Sosa, I got access to being mirrored any time I needed it and for as long as I needed it. Her gaze told me, “I see you, and in my eyes you are wonderful." When I meditated to Mercedes's songs spontanously I began to stroke my face with my hands in long, slow movements that followed the rhythm of my breathing. Being kind and gentle toward myself and touching my skin in a loving way caused the release of oxytocin in my body. Having a loving and accepting attitude towards myself became a part of my daily meditation practice and one of the keys to my recovery. Oxytocin, also known as the bonding hormone, has a soothing effect on the nervous system by lowering the stress hormone cortisol. Mercedes’ songs comforted me and made me peaceful. Sometimes they also energized me and made me hopeful and happy. We can’t overestimate the value of music for our wellbeing. Music gives us a way to get in touch with our emotions and a way to express them. It triggers activity in the part of our brain that releases the feel-good chemical dopamine. Mercedes Sosa was aware that her voice was used as consolation for people. Sometimes she felt she even​ healed herself​when she sang, she​ once told a journalist. my playlist for hope, peace and comfort or to my list for joy, strength, and energy. An imaginary relationship, as I had with Mercedes Sosa, can’t replace real-life relationships, but in the context of healing my ‘mother wound,’ it worked wonders because the brain doesn’t differentiate between what is real and what is perceived. We can use our imagination deliberately to take advantage of this. 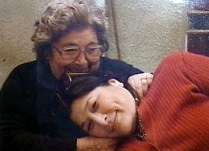 Imagining Mercedes Sosa as a compassionate mother created a positive response that soothed me both physically and emotionally. Daniel Siegel is a professor of clinical psychiatry at the UCLA School of Medicine and a pioneer in the field of interpersonal neurobiology. To learn more you can visit the playlist which supports the psychological themes of the book. I highly recommend you to watch the touching documentary, The Dolphin Boy, about a boy who gets so traumatized that he stops speaking and forgets his past. Little by little he recovers over years by the love and support from the dolphins and his loving parents. This documentary gives hope to everyone who has been severely traumatized. Watch the trailer here and buy the full movie at iTunes or elsewhere.